We just supplied Wabash Frisco & Pacific Assoc. with 840 more of our Xpotential 4x4s. 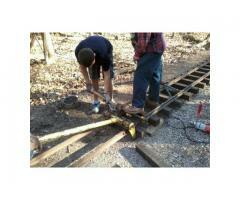 They cut these into 2'-0 length ties for their little trains. If you have use of this same material, we should talk soon before I sell out. Limited inventory.